According to IDC, cybersecurity will be among the 20 most in-demand IT roles for the next decade. Learn more about skills that can boost your career. security incidents before they cause damage. The CCNA Cybersecurity Operations curriculum provides a first step in acquiring the knowledge and skills needed to work with a SOC team, and can be a valuable part of beginning a career in the exciting and growing field of cybersecurity operations. 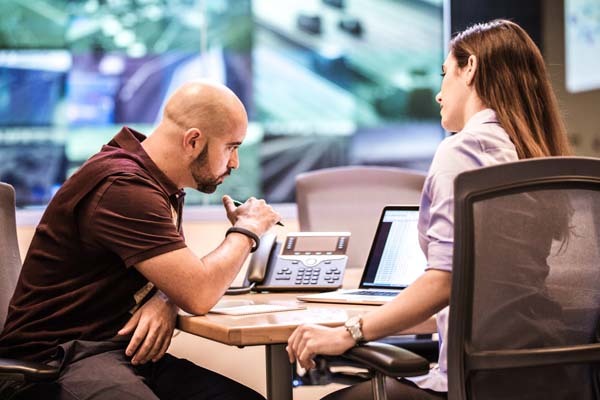 The curriculum helps prepare students for entry-level cybersecurity career opportunities and is aligned to the Understanding Cisco Cybersecurity Fundamentals exam (210-250 SECFND) and Implementing Cisco Cybersecurity Operations exam (210-255 SECOPS) leading to the Cisco CCNA Cybersecurity Operations certification. Get 60% voucher from Cisco to sit for the 210 – 250 SECFND and 210 – 255 SECOPS Cyber Security Exam. Scenerio based training where labs are built using Kali or parrot penetration systems, Linux & Windows systems etc. Condusive environment, good wife, Access to packing spaces. Explain the role of the Cybersecurity Operations Analyst in the enterprise. Explain why networks and data are attacked. Explain how to prepare for a career in Cybersecurity operations. Explain the Windows Operating System features and characteristics needed to support cybersecurity analyses. Explain the operation of the Windows Operating System. Explain how to secure Windows endpoints. Perform basic operations in the Linux shell. Perform basic Linux Administration tasks. Analyze the operation of network protocols and services. Explain how network services enable network functionality. Classify the various types of network attacks. Explain how networks are attacked. Explain the various types of threats and attacks. Explain how TCP/IP vulnerabilities enable network attacks. Explain approaches to network security defense. Use tools to encrypt and decrypt data. Use tools to generate a malware analysis report. Classify endpoint vulnerability assessment information. Explain how security technologies affect security monitoring. Explain the types of log files used in security monitoring. Explain how security-related data is collected. Analyze intrusion data to determine the source of an attack.